By dispersing the seeds of plants, fruit-eating animals contribute to the possibility of increased plant speciation and thus biodiversity. These are the findings of our study published on Monday, 23 October in Nature Ecology & Evolution. My first time in the rain forest was during a gap year after high school, now more than 12 years ago. My parents had inspired me to follow in their footsteps, and when arriving at Bangkok airport, Thailand, I immediately took a bus up north, to see the remaining rain forest and its treasures with my own eyes. The diversity of plants and animals, the rain forest sounds and smells, as well as the alarming noise of chainsaws, all encouraged me to study biology in the years that followed. Palms, amongst the most charismatic and recognizable elements of rain forests, immediately caught my attention. They appeared in so many shapes and forms, and I found out that in total there are almost 2600 species worldwide. Their fruits in particular intrigued me: ranging from tiny red berries to huge brown ‘megafaunal’ fruits, up to 12 cm in length. Almost all palm species depend on fruit-eating animals such as chimpanzees, elephants or hornbills for their seed dispersal. Interestingly, palms with large, megafaunal fruits are exclusively dispersed by large-bodied mammals (‘megafauna’) that were highly diverse in the past, but have nowadays gone largely extinct. 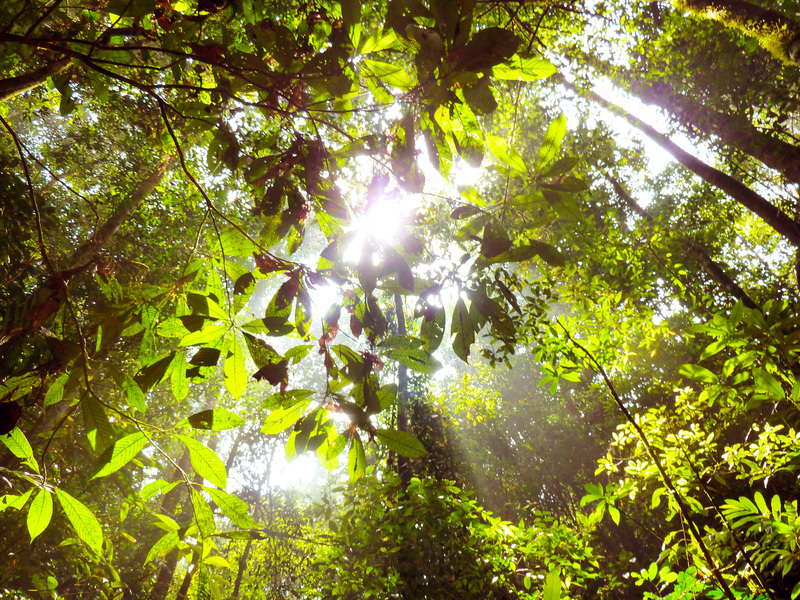 My trip to the rain forest inspired me to ask questions that ultimately led to his study. Why are palms so diverse? Has their intricate relationship with fruit-eating animals perhaps contributed to their diversification? 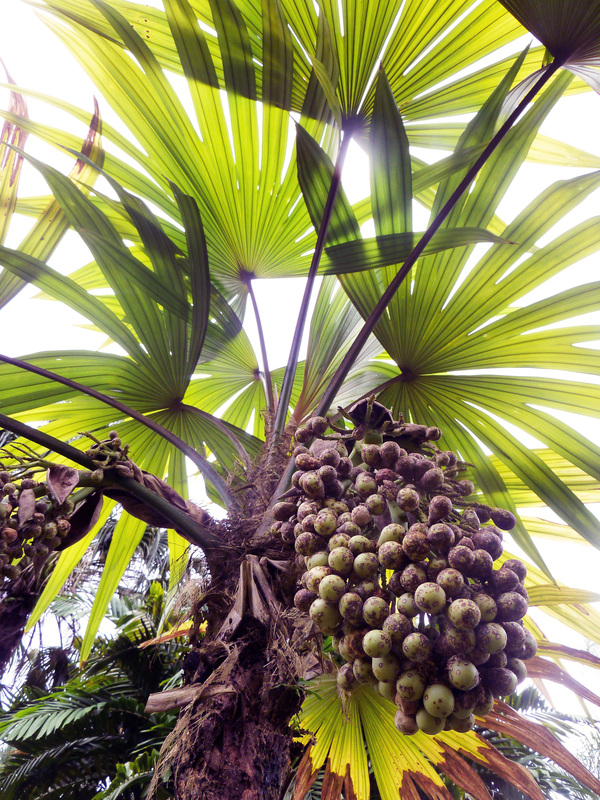 Although palms are extraordinarily species-rich, it remains unclear which factors are responsible for this diversity. I expected that the historical interaction of megafaunal-fruited palms with megafaunal animals likely reduced their speciation rate as compared to smaller-fruited palms, because of increased gene flow between populations, reducing the chances of geographic speciation. With this study we show that small fruit sizes do indeed increase speciation rates in palms. However, fruit size is not the only important driver of speciation: understory growth form and the colonisation of islands also contribute to increased speciation. The highest speciation rate was found for palms that are dispersed by birds and bats that are able to fly long distances across oceanic barriers, allowing them to colonise isolated islands in South-East Asia and the Pacific. These results provide important insights for the future of biodiversity. The ongoing extinction of biodiversity worldwide has dramatic consequences for ecosystem functioning and human well-being. Our study emphasises the need to protect not just single species or habitats, but also to restore interactions between species, such as those between fruit-eating animals and their food plants, in areas where these have been lost.